Electric Blanket is the polar opposite of the dusty, disorganized vintage store stereotype. 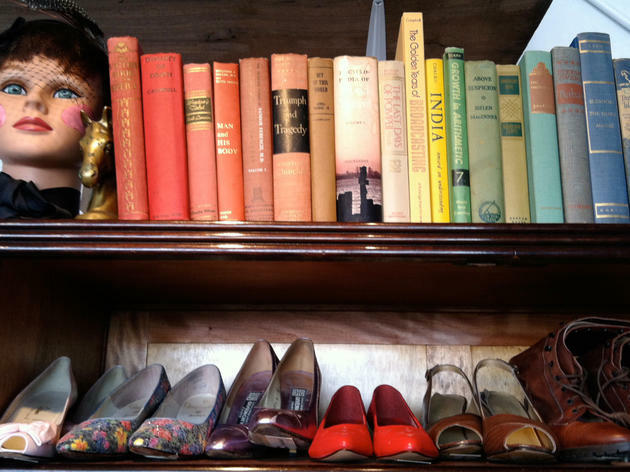 Owner Jillian West purposely keeps the offerings honed and curated: dresses and heels for women; button-downs and sweaters for men. (Check the trunk in the corner for discounts.) 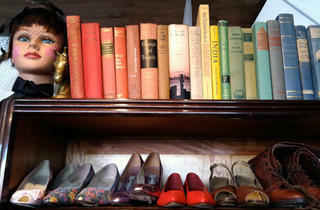 The clothing, as well as the row of classic books, is sorted by color, creating a cheery, rainbow-like spectrum. West built most of the store furniture herself from salvaged vintage pieces, reupholstering the stools in '50s fabric and combining antique and new elements to enviable effect. The aesthetic carries over into the gallery next door, where West's collage art features vintage sewing patterns, photographs, magazine cutouts and fabric. Don't miss the vibrant display of antique glassware, which West scooped up on scouting trips through Berlin, Amsterdam and Paris.